As it’s a process that can dictate factors that impact your business’s supply chain in the long-term, procurement demands close attention. 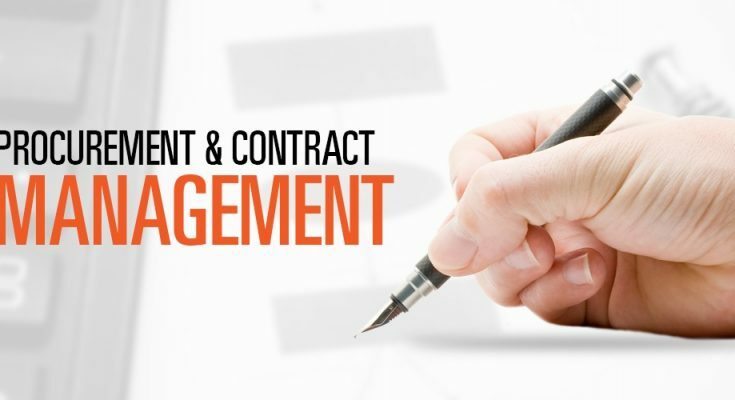 Many businesses are using contract management to ensure that procurement meets the demands of all parties involved, including the need to ensure that contractual obligations are fully compliant and documented. Contract management is essentially the administration of all the steps of the contract process. It allows you to track contracts, dictate who has access, and ensure that they are being adhered to. Contract management begins with the initial creation of the contract. The negotiation process follows, with each party reviewing and highlighting pain points for further discussion. When it’s agreed upon and signed, you need to ensure that both parties are adhering to contract and that you have service level agreements and key performance indicators in place to ensure that you and the vendor are complying. Contract management software makes it much easier to track every step of the process, as well as managing access to the contract and archiving older versions when changes are made during the project lifecycle. How does it help in the procurement process? Contract management software streamlines the process of creating and completing contracts, as well as creating a secure environment in which you have complete control over who has access to the document and who can make edits. You can drastically speed up the process of creating a contract using templates, then ensuring the vendor has the chance to review and approve it. You can also track their adherence to the contract using those service level agreements. Effective contract management allows you to manage your relationship with your vendors much better by making sure that contract disputes are far less likely. By making your procurement contracts much more efficient, you can complete contracts quicker and eliminate much of the confusion. Without effective contract management, there are several serious risks. For one, if you’re using manual processes like paper or transmitting contracts via storage devices, contracts are more open to damage, tampering, and discrepancies between copies which can exacerbate misunderstandings. Furthermore, if your business is slow to complete contracts, it can negatively affect it. You can miss deadlines that are a crucial part of your business plan, which can put you at risk of compliance issues or damage your relationship with the vendor. Finally, if you’re not using a system to track service level agreements and key performance indicators, it can be much harder to see whether or not your vendors are carrying out their end of the deal. Contract management can drastically reduce the amount of time it takes to complete a contract during the procurement process, all the while keeping contracts safer and making it easier to ensure they are fully compliant. If you’re still using manual contract writing and management methods, you are at risk of making agreements that aren’t to your benefit and could even be a legal risk. Make the change to digital contract management.